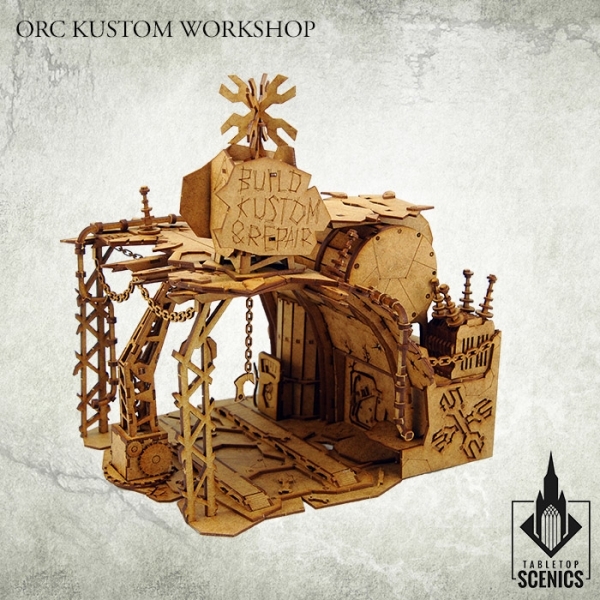 Contents of this frames may be used to make 1 Orc Kustom Workshop. 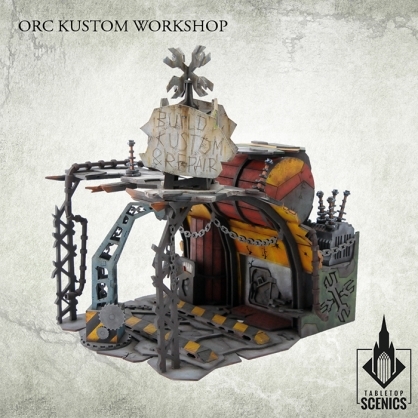 Dimensions: width 17cm, depth 20cm, height 22cm. 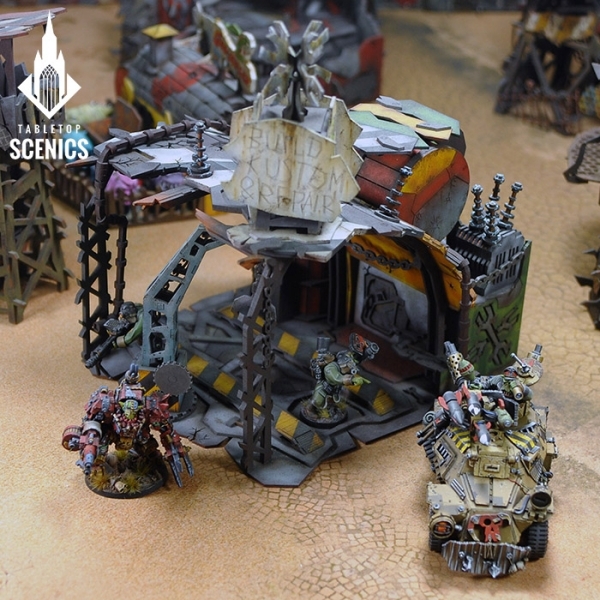 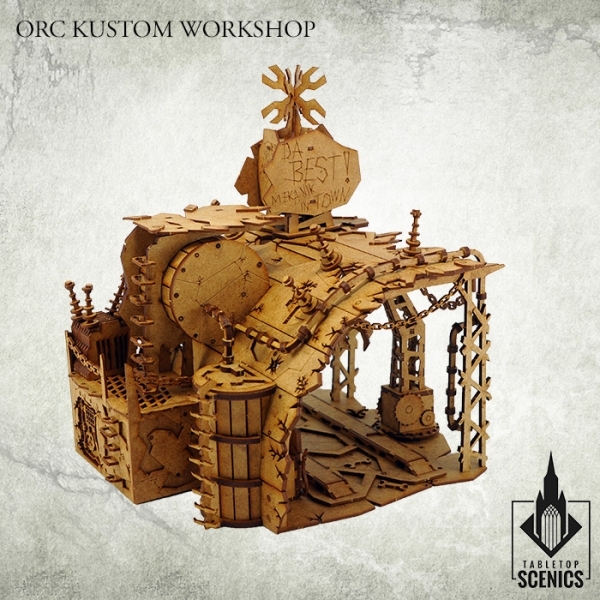 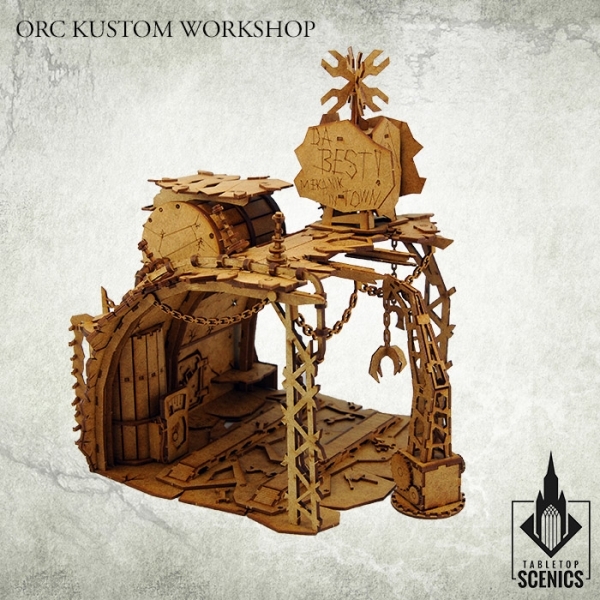 Orc Kustom Workshops, are erected when the final preparations for assault are on their way. 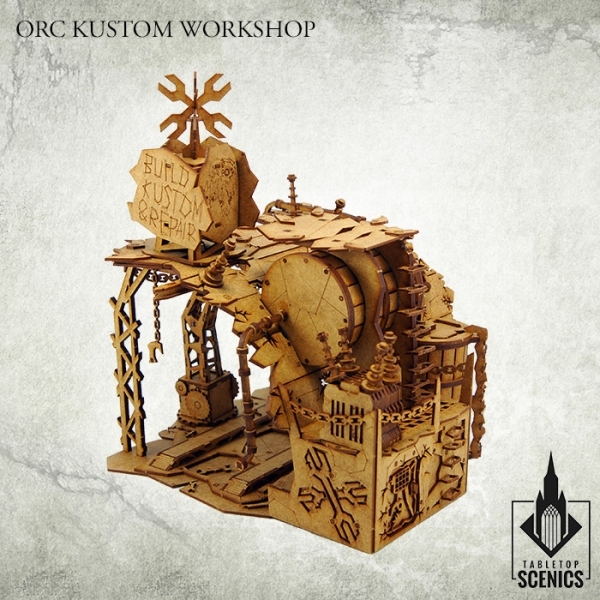 The brightness of fire sparks from blowtorches and sound of clanking chains and hookscan be seen and heard all day and night, as new deathbringing machines are built. 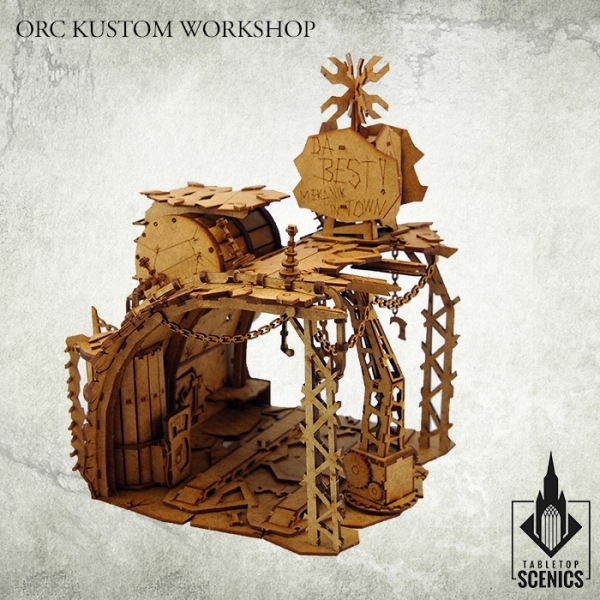 Here orc vehicles are spawned en masse with ease, for every mechanized-warfare loving Warchief!